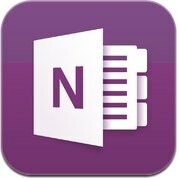 We understand that Microsoft will release the OneNote for Mac app for free, and the company is also planning to make the Windows desktop version available at no extra cost. This marks a significant change in the way Microsoft manages OneNote, unbundling it fully from the cost of Office. We're told part of this free approach is targeted at competitors like Evernote, but Microsoft is also adding additional features to entice people away from the competition.